As colleagues and peers from the world of football stood up and applauded as he left the stage at an event organised specifically for his goodbye, one of Barcelona’s greatest leaders closed one chapter of his life and opened a new one simultaneously. He got up, looking emotional, not to mention a little embarrassed at the size of his fanfare, politely nodded, and drew the curtain on a career that would be the envy of most. 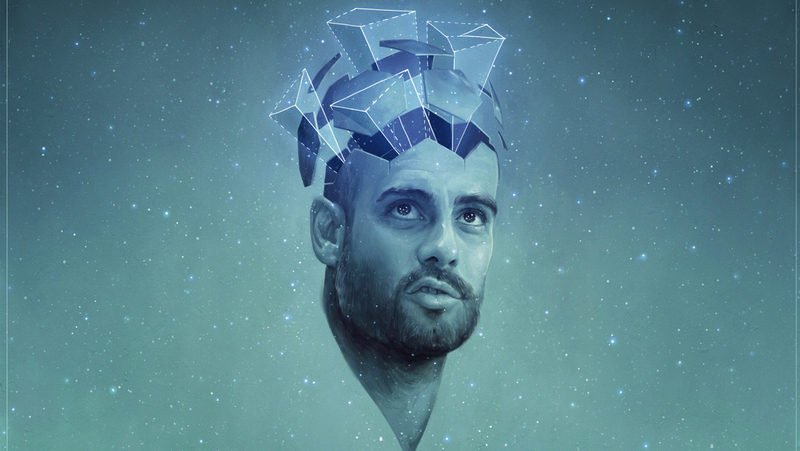 Pep Guardiola paid his former captain the ultimate tribute: “His track record speaks for itself. He’s been the captain and an example for the rest. He was always the first to run and get to training, first in everything. He helped me a lot throughout my career. Undoubtedly, he was one of the greatest players. His time on the pitch had come to an end, and a new life in the boardroom of his beloved club awaited. But as every end has a story before it, so too does this one. 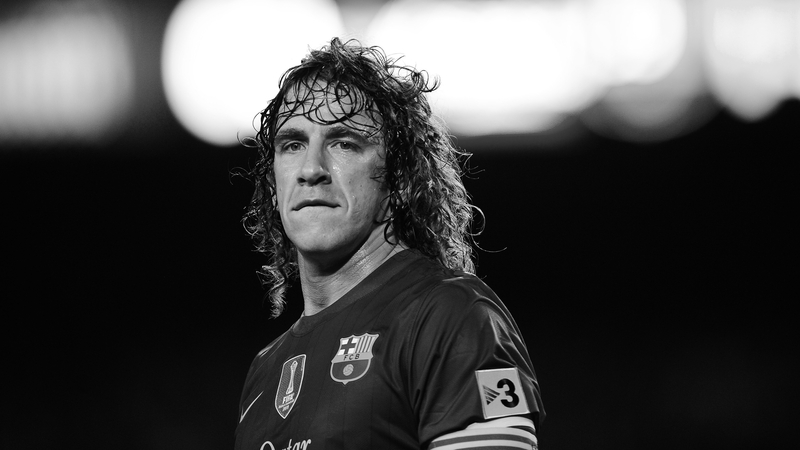 It’s the story of Carles Puyol Saforcada, or simply “Puyi” to his friends. Born in Catalunya, Puyol started his career playing for his local team, Pobla de Segur, as he meant to go on: at the back. The key difference was that he was in goal rather than at centre half. Soon, however, the first of many injuries flared up, and his shoulder wasn’t strong enough for the passionate dives and exuberant saves the young man put his heart into. For a brief period he moved all the way forward to play up front. Although it may seem trivial, this was a period that would act as a reference point in his career. Playing as a striker and trying to get the better of defenders would no doubt have helped him read the minds of the marksmen he came up against later in his career. When it came to joining Barcelona, he was a late bloomer. Luminaries he would later play with such as Gerard Piqué, Cesc Fàbregas and Lionel Messi were all much younger than the 17-year-old Puyol was when they first joined the club. He started life in the Cantera as a defensive midfielder, before graduating to the B team and again moving positions to right-back. Clearly talented, but without a position he could call home, he bode his time patiently, broadening his football IQ and waiting for his chance. That chance almost never came to be. With Frank de Boer ahead of him and first team opportunities seemingly nowhere on the horizon, Málaga had an offer accepted by Louis van Gaal for his services and Puyol was almost on his way to the year round warmth of the Costa del Sol. The youngster stubbornly turned the offer down and dug his feet into the very ground he refused to leave. He had just seen one of his teammates and close friends graduate to the first team and wanted to emulate him. 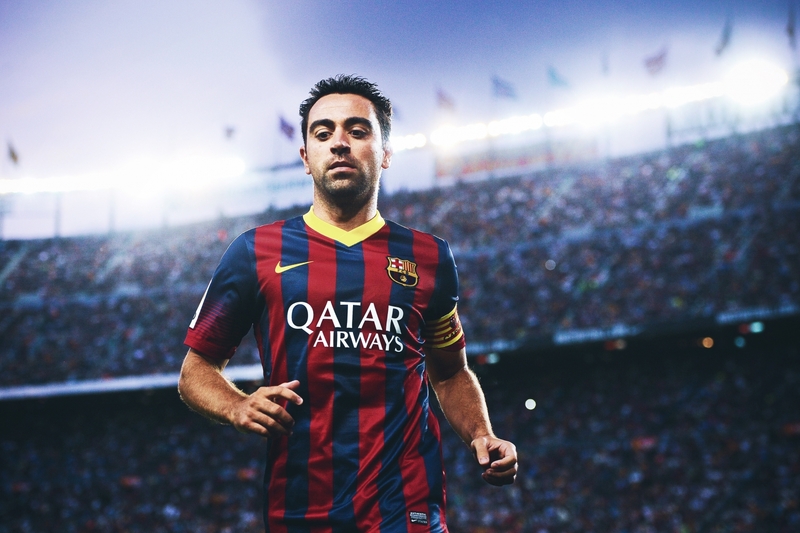 That teammate went by the name of Xavi Hernández, and together they would go on to have storied careers that would impact not just Barcelona, but Spain as a nation. It is strange that van Gaal initially missed the value in a diamond like Puyol. For all the controversy the man has been surrounded by in his career, he has blessed the world by introducing players that would go on to transcend the sport. Clarence Seedorf, Edgar Davids, Patrick Kluivert and Xavi are just some of them. His debut came soon after, as a sub for Simão away to Valladolid, in a 2-0 win in October 1999, before his baptism in El Clásico a year later. The fixture itself needs no introduction, but this one in particular was sure to be fierier than any previously. Luís Figo, the former prodigal son of the Camp Nou, was returning to a hellacious welcome with Real Madrid. It’s the infamous game where a pig’s head was somehow smuggled into the stadium – in reality, probably quite easily – and thrown onto the pitch in Figo’s direction; the same game where the shaggy-haired youngster marked the man of the moment out of proceedings. Mind distracted or not, Puyol didn’t let Figo move and put in a performance that was as composed as anything Plácido Domingo has serenaded the world with. This was one of many instances early on that foretold viewers of the brilliance we were watching. 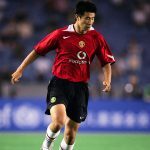 His first goal against Valladolid further helped his cause, but the crescendo moment came in a 2002 Champions League game against Lokomotiv Moscow. With the keeper rounded and a back tracking Puyol the only man protecting an empty net from the oncoming striker, he flung himself at the admittedly weak shot and kept the ball out by blocking it with his chest. The ball, rather perfectly, hit the Barcelona badge on his shirt, and with that it was sealed. No more questions were asked nor did they need to be. In the milliseconds before the ball hit his shirt he was still unproven to the Culés in the crowd; in the milliseconds after the ball had rebounded off his chest, he had become a hero. That moment came in the same year of his inclusion in the 2002 World Cup squad. He went to South Korea and Japan having already won a bronze medal at the Olympics two years earlier. Still regarded as a right-back, the finals themselves were forgettable for Spain as they were controversially beaten by South Korea in the quarter-finals. He began to play in central defence soon after and the respect he earned led to the Barcelona players voting him as their captain for the 2004-05 season, which would end with a La Liga title, Frank Rijkaard’s first as manager and Barcelona’s first since 1999. The season where the story of Puyol really starts to breathe fire is that of 2005-06. With the likes of Ronaldinho, Samuel Eto’o and Deco, Barcelona played balletic football and romped to a La Liga and Champions League double, Puyol proudly lifting Ol’ Big Ears above his head in Paris to complete one of the more enduring images of his career. On the international scene, Spain started to shrug off their tag of perennial underachievers at that year’s World Cup. Although they went out at the quarter-finals again, the football they played was the appetiser to what the following years would bring. Nothing could sum it up better than the part Puyol played in a goal Fernando Torres scored against Ukraine. Intercepting a Ukrainian pass on the halfway line and taking a few steps forward, he then brilliantly shimmies past a defensive tackle and lays the ball off to Torres, who himself passes to another player in red. By now Puyol is well past the halfway line, and standing on the left hand side when the ball comes to him again. He calmly plays a cushioned header that finds Torres. The ball is then smashed home for one of the goals of the tournament. If Spain were on the up at that time, Barcelona were slowly declining. The 2006-07 season saw them lose the league on the final day of the season, in which they finished without a trophy and cracks began to appear. The next season would be even worse. A Champions League run to the semi-finals was achieved in the main against weak opposition, but in the league things couldn’t really have gone much worse. Not only did they finish 18 points behind Real Madrid, who were crowned champions that season, they finished ten points behind Villarreal, who finished second. While other players in the squad were squabbling with one another and the manager lost control of the dressing room, Puyol still gave his heart and soul on the pitch in defiance of everything that was going on around him. It was a new Puyol, born out of tough circumstance. Two years earlier his beloved dad had been killed in a farming accident. Puyol was not told until the team had disembarked the plane in A Coruña, where they had just arrived for a game. This, combined with a number of injury problems, meant the usually unflappable Catalan went through the darkest period of his life, something he would candidly talk about in the years after. 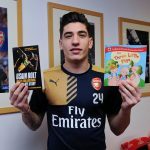 It was the intervention of the Spanish national team physio and the reading of Sun Tzu’s famed book The Art of War that eventually brought him peace. The new Puyol entered Euro 2008 on the back of that horrendous season, but never again would his career reach depths so low. Spain were strongly fancied to go all the way, but that backing also came with a fair dose of scepticism from back home. Along with England, they were perceived as the great underachievers on the international stage. Once the tournament got underway, however, they set about changing that. Puyol led from the back, helping the team keep three clean sheets and concede only three goals as they won their first international title since 1964, beating Germany 1-0 in the final. Puyol, of course, was in the all-star team when it was decided. He was the best defender in the tournament for most fans. Once the glory of that triumph had quietened down and he returned to Barça, it was all change in the dugout. After the disastrous previous season, Rijkaard had been sacked and the novice Pep Guardiola was brought in as a replacement. Deco and Ronaldinho soon followed Rijkaard out of the door. 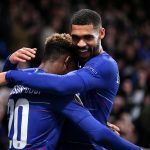 It was those high profile transfers that overshadowed the signing of one former youth player who would, alongside Puyol, form one of the greatest defensive partnerships in Spanish football history. Gerard Piqué was back in the colours of the Blaugrana having spent four years at Manchester United. In Piqué, Puyol found a supremely talented centre-back who just needed stability and a guiding partner. He found both next to his compatriot, who was relentless in his teachings. The older Catalan would not for a second let Piqué lose focus, in a game or in training. Tough love was the order of the day, and he dished it out in droves. But Piqué was better for it, and he often spoken about Puyol’s influence in his career. Together they formed as strong a partnership at centre-back as you’re likely to find in Spanish history. That partnership took its place in a much bigger scheme of things. A tough start to the season was soon forgotten and Barcelona played sumptuous football. Every player in that team felt rejuvenated under the management of Guardiola, none more so than Puyol. It culminated in the club’s first ever treble, something no other Spanish team had done before or since, as Puyol once again got his hands on the European Cup, this time in Rome. After weathering an early Manchester United storm, Puyol, Piqué and the rest of the team never looked like losing from the moment they took the lead, teasing their English rivals with the ball, offering brief glimpses of it before moving it out of sight. The following season brought more success as Barcelona won four more trophies, laying their hands on the Club World Cup, the Spanish Super Cup as well as the UEFA Super Cup and the La Liga title. At international level, ever since Spain had won Euro 2008, everybody in the nation had cast their eyes to the 2010 World Cup in South Africa with longing hope. Spain were clear favourites and had a squad that was an embarrassment of riches. Once again, Puyol teamed up with Piqué at the back, with Sergio Ramos, Joan Capdevila and Iker Casillas still present from Euro 2008. Having made their way to the semi-finals, they came up against Germany yet again. The Germans had steamrolled their way to the semis, destroying England 4-1 in the last-16 and Argentina 4-0 in the quarters. It was a potent attack to say the least. But the Spanish defence, with Puyol at the heart of it, never looked to be in trouble. Instead, the game was a typical World Cup semi-final: tense, tight and with few chances. In the 73rd minute Spain won a corner. Xavi, the man who all those years ago had inadvertently kept Puyol at Barcelona, delivered it right on to the penalty spot. For a second it looked like Piqué was going to get his head to it, but out of nowhere, with the power of a steam train and the leap of a salmon, came Puyol. All the years of World Cup heartache for Spain were put to one side as he powered the header home. In a century of caps for his country he only scored three goals. That goal alone, I’m sure, is worth more than most in Spain’s history. A few nights later, as the ball trickled out of play towards the end of extra time in Johannesburg, the emotion of the past four weeks were let out of Puyol’s interior. The game was all but over; Spain had a goal kick and, once taken, the referee would blow the final whistle. Puyol had started the celebrations early, but once the win was confirmed he led from the front. It spoke volumes for what can be a confusing nation sometimes. Here he was, Catalan born and bred, celebrating just as much as San Iker, Spain’s Madrid-born poster boy. From this point on his career would be punctuated by injuries at crucial times. Another successful season for Barcelona meant they ended up winning the league again and yet another Champions League title, Puyol’s third. Sadly, injury prevented him from starting the final at Wembley and instead he was brought on with a few minutes left. When the team went to collect their prize Puyol passed his honour of lifting the trophy on to Éric Abidal, the French left-back who had missed a large part of the season because of a cruel battle with cancer, but who had recovered so brilliantly to start the final. With tears in his eyes and the armband around his bulging bicep, Abidal wept as he lifted the trophy aloft, overcome with the magnitude of Puyol’s gesture. By now he was suffering injuries so regularly it was beginning to get to the time when people spoke of his retirement. But again, Puyol’s actions spoke louder than words. At the end of the 2012-13 season, with yet another La liga trophy to lift, he passed the duty on. The hand of Éric Abidal was grabbed and Tito Vilanova was gestured to step forward. Vilanova had fought bravely against cancer that season as well, causing him to miss several weeks in the dugout. Puyol handed them both the trophy and then darted out of sight as they lofted it. As they say, actions speak louder than words. The following season would be his last but again it was interrupted by injuries. Enough was enough and, deciding that his body could no longer go on, he drew the curtain on a glorious career that saw him win every trophy at club and international level. The tributes poured in from the football world. As he got up to leave the stage erected just for him, and the crowd applauded, Puyol was content. He’d done the right thing, and he was happy for it. He spoke of having lived the dream that every boy has. He most certainly had. A brief spell as Barcelona’s deputy sporting director followed but he left his post not long after starting. Since then he’s taken up English classes and still keeps fit by exercising at Barcelona’s training ground. He’s recently become a father and speaks regularly at his contentment in life. The same contentment goes for the fans – of all clubs – who are just happy they got to see him play and lead for all those years. After all, the world of football has rarely seen a footballer as committed, passionate and talented as Carles Puyol was for club and country.